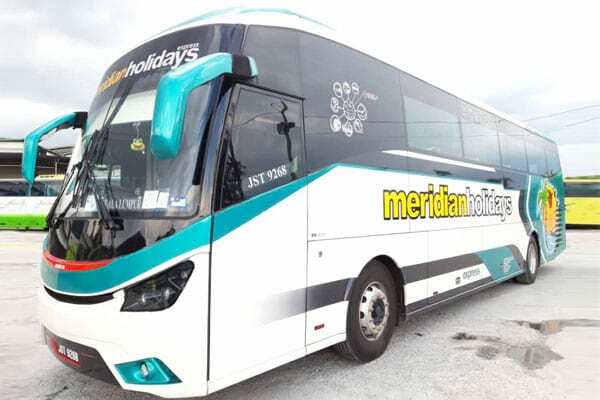 Meridian Holidays is a bus operator that is headquartered in Skudai, Johor. Meridian Holidays is widely known in providing express bus service between Kuala Lumpur and Johor Bahru. Meridian Holidays provides more than 5 daily bus trips between Kuala Lumpur and Johor Bahru. The estimated trip duration is 4.5 – 5 hours. This route is a high-demand route especially during holidays, weekends and peak seasons. Meridian Holidays provides both single deck and double deck buses fully equipped with air-conditioner, spacious legroom, and reclining seats. Single deck buses deployed by Meridian Holidays comes with 27 seats, 30 seats and 44 seats. 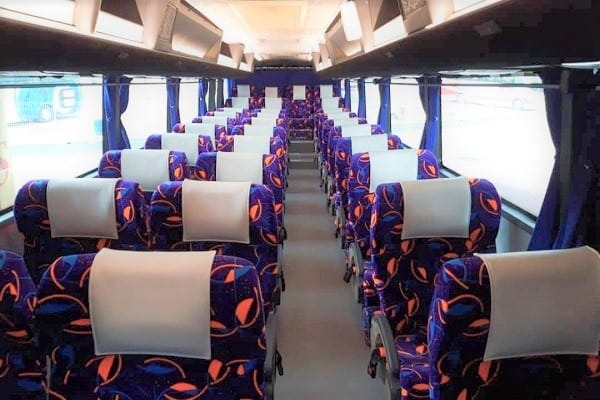 Moreover, their 45-seats double deck buses are using 2 + 1 seating arrangement to ensures their passengers can have a comfortable and enjoyable experience throughout the bus trip with Meridian Holidays. Meridian Holidays bus tickets are available for online booking at BusOnlineTicket.com now. Hurry up and get your tickets now!